Raise the bar for excellence in your community. 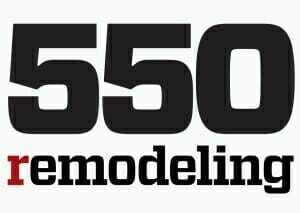 GuildQuality joins forces with home builders associations and contractor networks across the country to help raise the bar in their communities. By utilizing our customer satisfaction surveying and reporting platform, these organizations are able to identify, rank, and reward members of their community for exceptional performance. 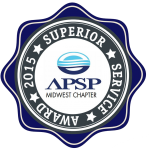 Let us power your next service excellence awards at no cost. Fill out this form and we’ll be in touch! We do all of the heavy lifting. You simply encourage your members to apply. Already have an annual awards ceremony or celebration? Our Service Excellence award fits right into your existing calendar of events, or we can help you construct a celebration of excellence to honor your award recipients. The feedback we get from our customers through GuildQuality has been invaluable information for our company. The fact we can so easily share it on social media has been a new way for prospects to find sincere comments from our customers without having to contact the customer directly for a reference. It is trustworthy information. Call for entries opens three months before the award. Applicants provide 30-50 customers to be surveyed from the preceding 6-12 months. We spend about 4 weeks surveying, utilizing our proven process and tools. After surveying is complete, we’ll tabulate the results and work with you to determine the winner(s) based on pre-determined criteria. If needed, we can create physical awards for the winners. We’ll even be there to honor and celebrate the winners. 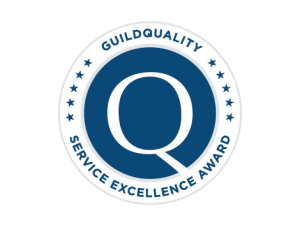 For more than a decade, builders, contractors, and remodelers across the country have relied on GuildQuality to monitor their customer satisfaction. Organizations like the James Hardie Preferred Contractor Network, the Charleston Home Builders Association, and more utilize these tools to measure and recognize member companies who excel at delighting their customers.